Does your family live on a farm? Written for early elementary readers, these 24-page books inform readers about animals that live on the farm. 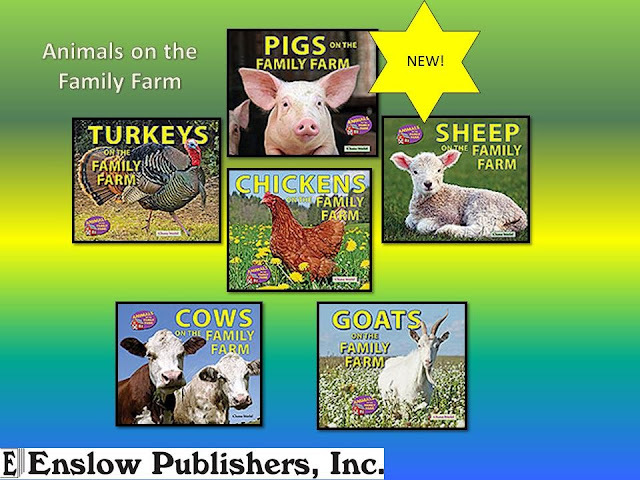 Focusing on one family farm, each book covers one animal and shares how each of these animals are raised on the farm. 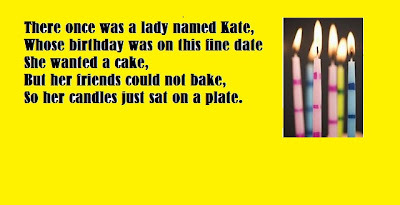 A fun limerick from our Brainless Birthday Jokes to Tickle Your Funny Bone Book by Felicia Lowenstein Niven. Available in library binding, paperback, and as an eBook! A limerick is a funny, rhyming poem that is five lines long. Lines 1,2, and 5 rhyme. Lines 3 and 4 are usually shorter and rhyme with each other. First, brainstorm some rhyming words. Write them down on a piece of paper. Next, number lines on a piece of paper from 1 to 5. Write lines 1 and 2 so that the last word in line 2 rhymes with the last word in line 1. 1. There once was a man from France. 2. His friends thought he liked to dance. Then write lines 3 and 4 so that the last word in line 4 rhymes with the last word in line 3. Finally, write line 5 so the last word rhymes with lines 1 and 2. 5. Was he really had ants in his pants. Limericks are fun to write on your own or with a group of people! What if you were Paul Revere? What would you do? General Thomas Gage was in charge of Massachusetts. On April 14, 1775, he received some special orders from Britain. He and his soldiers were to arrest John Hancock and Sam Adams. The pair was hiding out in Lexington. The British soldiers then were to go on to Concord.. The colonists had hidden weapons there. General Gage wanted those weapons destroyed. The raid would take place on April 18. The British hoped to surprise the colonists. If successful, they could hurt the rebel's cause. What if you were Margaret Kemble Gage? She was General Gage's wife, who was born in the colonies. You overheard your husband discussing the attack. You do not want to betray him. Yet you do not want the king to crush the colonists. Would you alert the rebels? What do you think Margaret Kemble Gage did? On the evening of April 18, Warren asked Paul Revere to ride to Lexington. He was asked to warn Hancock and Adams that the British were coming. After that, he was to ride on to Concord to warn the colonists there. Colonists had formed their very own fighting groups called militias. In Massachusetts, these men were known as minutemen. They were proud that they could be ready to fight in a minute's notice. Now they would be put to the test. Revere had been a messenger for the patriots before. Tonight he would have to ride as fast as he could to get to Lexington and Concord before the British. What if you were Paul Revere? Would you agree to do this? The British will be on the lookout for rebels tonight. If you are caught you could be arrested or even hanged! Would you be willing to take the risk? The Revolutionary War Begins: Would You Join the Fight? is part our What Would You Do? series. It is available in library binding and in paperback from Enslow, Barnes and Noble, Amazon, and your favorite Indie store or preferred vendor. A free educator guide is also available. What do these books all have in common? Yes, they are all Enslow books. But besides that, they were all written by author, Sara Latta. We thought it would fun to share our interview with Sara, a girl who was raised on a dairy farm in Kansas and grew up to become an author. Enjoy! Enslow: Has anything in your upbringing influenced your interest in writing nonfiction? Sara: I'm a science writer, so my interest in nonfiction grows out of my love of science. I was raised on a farm, and I was captivated by the world around me. I studied the behavior of red ants and discovered that they will bite when provoked. That was a painful lesson! My mother was understanding of dead birds in the freezer and the experiments with baby teeth and sugar. I thought I'd be a scientist when I was in college; I had a double major in Microbiology and English. It was only when I was in grad school that I realized that I'd rather write about science than DO science. Sara Latta at a school visit. Enslow: If you could give a beginning writer advice, what would it be? Sara: Read, read, read, especially in the genre that interests you. And I mean read with a really critical eye. How does the author use everyday language to express complex issues? What is the role of narrative--everyone likes a good story! Familiarize yourself with your subject. Since I am a science writer, this often requires reading a lot of technical articles, but when you interview a scientist about his or her work, you want to show that you've done your homework in advance. Enslow: Can you recall a specific challenge you had writing any of these books? Sara: You know, the three forensic science books (Bones: Dead People DO Tell Tales; Cybercrime: Data Trails DO Tell Tales; and DNA & Blood: Dead People DO Tell Tales) posed a real psychological challenge to me. I spent a good amount of time immersed in and writing about really horrible people and their horrific deeds. I wanted to tell the stories of how investigators used forensic science to solve real crimes, but I had to make sure the stories were appropriate for middle grade readers. It wasn't always easy. Enslow: How did you overcome it? Sara: I finished the books. Enslow: What is your main concern when writing nonfiction for children or young adults? Sara: Well, good writing is good writing, so that's the main thing. But writing for children and young adults also requires putting yourself into the mind of the reader. I try to think about the metaphors that they would understand, and which concepts can they handle, especially those that might be disturbing or too abstract. But I think the key is to not underestimate the intelligence and curiosity of kids, and I don't talk down to them. I assume that they haven't bought into the idea that physics or chemistry or biology is hard. I'm hoping that my readers are the kind of kids who found out the hard way that red ants bite when provoked. Enslow: Do you write only nonfiction? Sara: I wrote a picture book about dark matter (Stella Brite and the Dark Matter Mystery, Charlesbridge, 2006), which is fiction but about science--something my friend Jacqueline Houtman calls sciencey fiction. And I have a couple of unfinished young adult fiction manuscripts that I hope will someday appear on bookshelves. Enslow: Where is your favorite writing space? Sara: My office. I'm fortunate that I have a room of my own, as Virginia Woolf put it. My husband bought me a comfortable writing chair, and I also have a sofa for reading and/or napping as the need arises. Enslow: What types of books do you enjoy reading? Sara: I classify my books into two categories. I am a huge fan of audio books; I listen to them while walking, exercising, driving, doing dishes and laundry, etc. I tend to listen to mysteries, thrillers, and science fiction. I listened to all of the books in George R.R. Martin's A Song of Ice and Fire series. The books I sit down and actually read are all over the map--fiction and nonfiction. I write a YA book review column for our local newspaper, so I read a lot of books for young adults. One of my favorites this year was Elizabeth Wein's Code Name Verity. Enslow: Who would you trade places with for a day? Sara: I'd love to be an explorer, to go where no one has gone before. The last great unexplored frontier today is the deep ocean, so I guess I'd like to trade places with an oceanographer and explorer like Sylvia Earle. I'm afraid she would find my life a bit dull, however. Panther chameleons can move their eyes two ways at once. One eye can look up as the other looks down. Sea stars have hundreds of feet on the bottom of each arm. These tiny feet help them hold onto rocks. Hippopotamuses have ears on top of their heads instead of on the sides of their heads. This helps them keep cool by staying underwater while still being able to hear. Polar bears have the best sense of smell on Earth. Their noses can sniff a dead seal from twenty miles away. The blue-tailed skink lizard uses its tail for protection. When being attacked they make their vibrant tail fall off so they can run away. A penguin’s tongue is covered with spikes. These spikes keep fish from sliding out of their mouths. 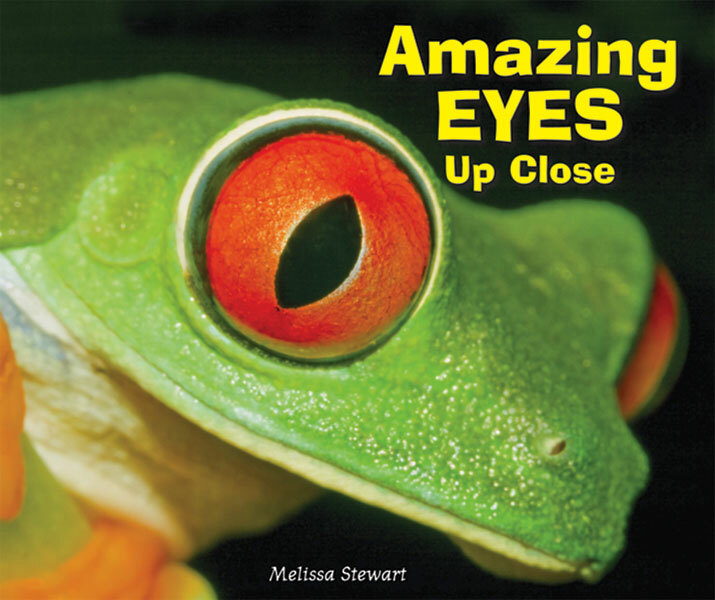 These are just some of the interesting facts packed into Enslow’s Animal Bodies Up Close series authored by Melissa Stewart. Each title in the series focuses on one particular animal body part and shows how different animals use that part in unique ways. Titles in this series include: Amazing Eyes Up Close, Fantastic Feet Up Close, Incredible Ears Up Close, Nifty Noses Up Close, Talented Tails Up Close, and Terrific Tongues Up Close. The color illustrations and simple text is great for young readers from Kindergarten through grade 3 and will surely engage them in learning more about these astonishing animal body parts! ﻿﻿﻿﻿﻿Why Do We Have Seasons? is Enslow’s new series for elementary school readers coming in 2012. This series features full-color photographs and introduces readers to the seasons explaining weather conditions and how the weather actually changes. This series includes: Why Is It Fall?, Why Is It Spring?, Why Is It Summer?, and Why Is It Winter?. Each title in the series is written by Sara L. Latta for grades three through four, and comes in both paperback and library bound editions. Why Is It Winter? 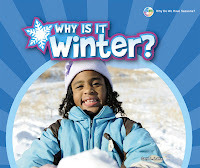 explains when winter begins, creating a fun science learning experience for new readers. The book describes winter activities for people as well as what animals do during this season. It even features a fun experiment relating to winter. The library bound edition sells for $21.26 and the paperback edition sells for $6.95. This title is a wonderful way to have elementary-aged children learn the science behind this upcoming season! ﻿ Make Thanksgiving special with Enslow's Thanksgiving Day Crafts, written by Arlene and Herbert Erlbach, and part of the Fun Holiday Crafts Kids Can Do! series. The easy to follow directions for each craft feature full color photos of not only the finished product but the stages in between! Patterns to cut and trace are also included, as well as key words to know about the holiday. Children in grades 3-4 will have fun making "Pumpkin Napkin Rings", "Turkey Place Cards", or even a "Leaves in the Wind Glitter Globe". The crafts in this book can be used as decorations, or can be given as gifts. All your guests will truly be thankful for the cheerful ideas shared in this title! Did you know that a MILLION Earths could fit inside the Sun? Did you know that you couldn't stand on certain planets because they are made of gas? You can learn about these and other mystifying facts in Enslow’s Weird But True Space Facts. This book is part of the brand new Weird But True Science series that includes: Weird But True Animal Homes, Weird But True Food, Weird But True Human Body Facts, Weird But True Rocks, Weird But True Space Facts, and Weird But True Weather. All titles are authored by Carmen Bredeson, feature color photographs, and are available library bound and paperback. 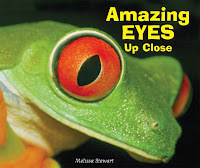 Check out these engaging elementary titles for grades K through 3! ﻿﻿﻿It’s September! And it’s back to school time! Enslow’s series, Character Education with Super Ben and Molly the Great written by Shelley Marshall, has eight terrific titles for children in kindergarten through the third grade to help with the transition. Molly the Great Misses the Bus is one title that will surely help with back to school jitters as it addresses being on time as well as being considerate of others. Super Ben wants to show off his new outfit and for him, making it to school on time is important. Molly, on the other hand, seems to find last minute things to do causing them to be late for the bus. This is a great story to share with early elementary age children to help them prepare for their new school schedules and activities. Other titles in the series available in library bound and paperback editions include: Molly the Great Respects the Flag, Molly the Great Tells the Truth, Molly the Great's Messy Bed, Super Ben Writes a Letter, Super Ben's Brave Bike Ride, Super Ben's Broken Cookie, and Super Ben's Dirty Hands. Each title has 24 pages and features color illustrations. Library Bound titles are priced at $21.26 and Paperback editions are $6.95. On October 9, 1911, Fire Prevention Day was proclaimed. This day was chosen because it was the fortieth anniversary of the 1871 Great Chicago Fire, which killed hundreds of people and destroyed thousands of buildings. In 1992, Fire Prevention Day was extended to an entire week. Fire Prevention week is celebrated during the week that includes the date of October 9th.